My sister, Helen, and I once took a tart making class at Le Cordon Bleu cooking school. 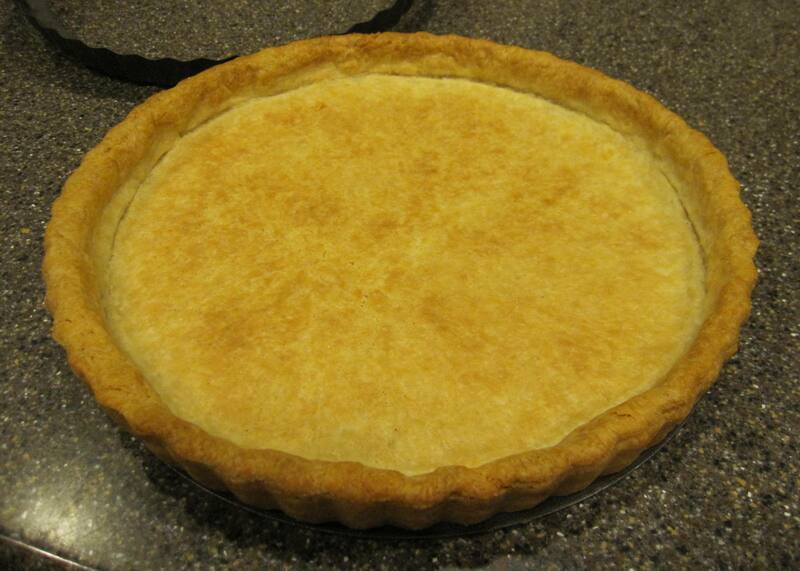 It was a while back but it was where I learned to make this basic pastry dough. I’m probably biased, but I think this is one of the best pastry doughs ever! The recipe is so easy and very versatile. It makes a great crust for tarts — crisp, tasty, and one that doesn’t turn soggy an hour after being filled. 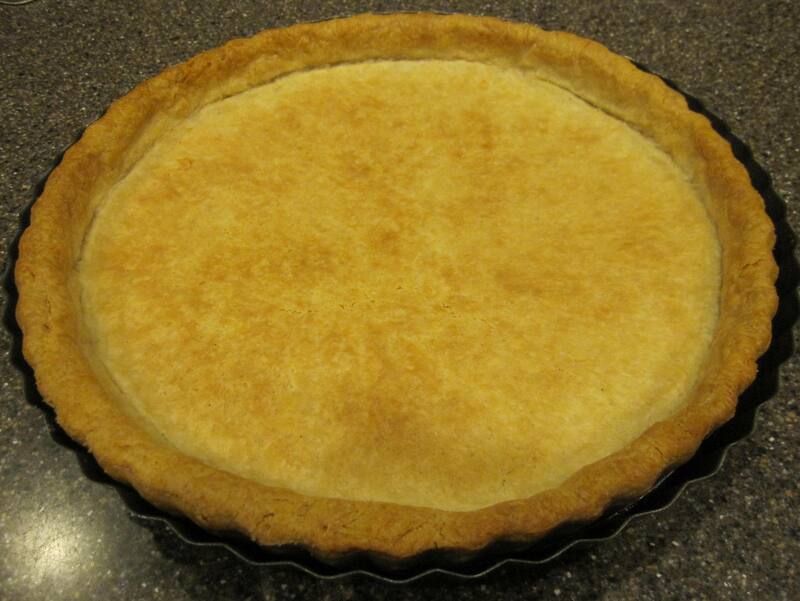 If you’re making a dessert tart and want a sweeter crust, you could add 2 tablespoons of sugar to the dough recipe. Combine flour, salt and butter until mixture resembles cornmeal. Add cold water and toss with a fork until dough comes together when squeezed in your hand. Sandwich dough between two pieces of parchment paper. With a rolling pin, roll out dough to size you need. Chill until firm, about 30 minutes. NOTE: Dough can be shaped into a disk, wrapped in saran wrap and frozen for up to two weeks. Place rolled dough into tart pan with removable bottom, taking care not to stretch dough out. 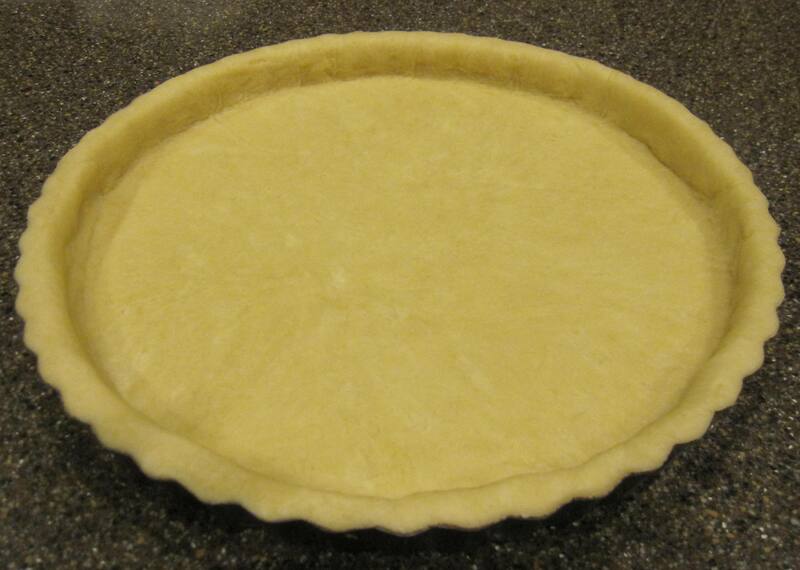 Trim off excess dough by running a rolling pin across the top of the tart pan. Line dough with waxed paper or tin foil. 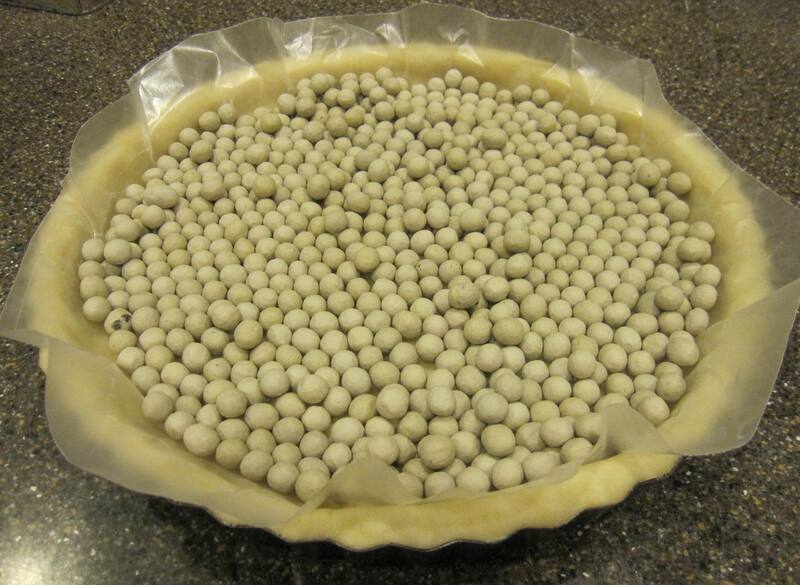 Fill with pie weights, bean or rice. Bake about 5-8 minutes or until golden brown.